Abstract: CURRENT Medical Diagnosis & Treatment is the most comprehensive, reliable, and timely reference available to answer common questions that arise in everyday clinical practice. 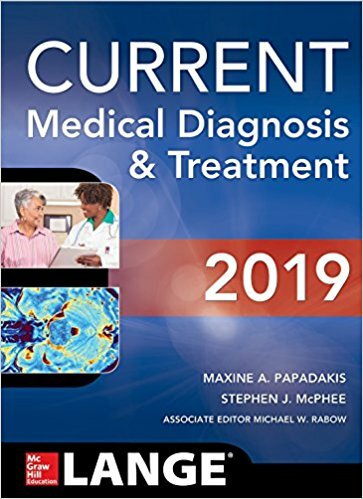 Readers will find authoritative, evidence-based coverage of more than 1,000 diseases and disorders along with a concise, yet thorough synopsis of diagnosis and treatment. 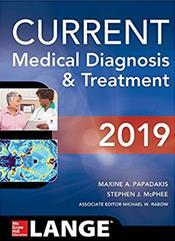 Written in a clear, easy-to-read style, this trusted classic covers all aspects of outpatient and inpatient care, and also includes discussion of new developments and breakthroughs in medicine. Presented in full color, CMDT covers every aspect of general medicine, with an emphasis on prevention and cost-effective strategies.